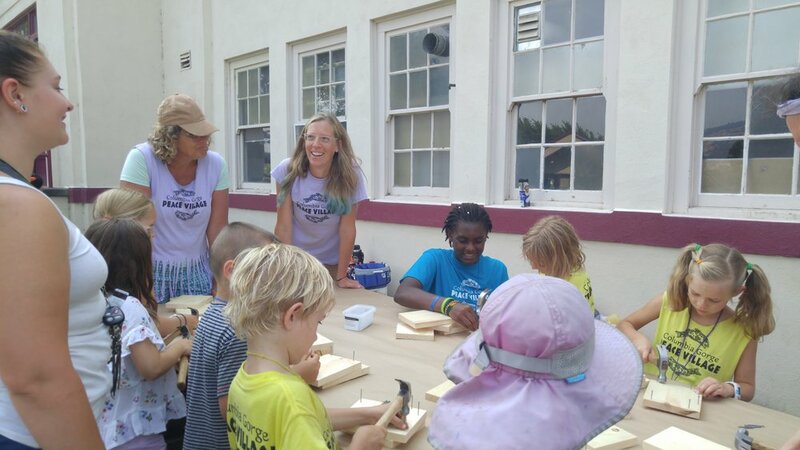 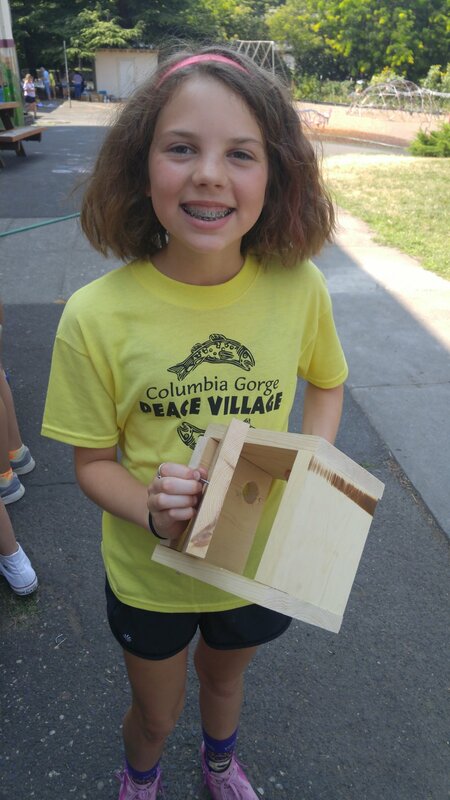 This was our first year at Columbia Gorge Peace Village camp and we had a blast! 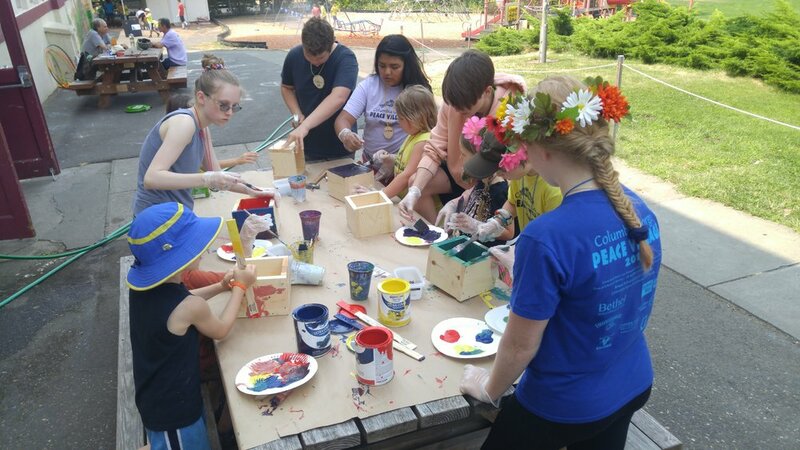 So much amazing energy, talented facilitators and creative youth embodying peace within, peace among and peace around. 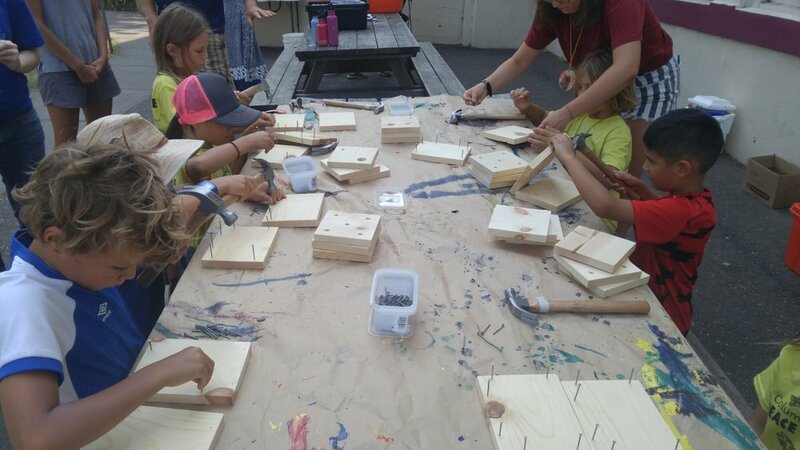 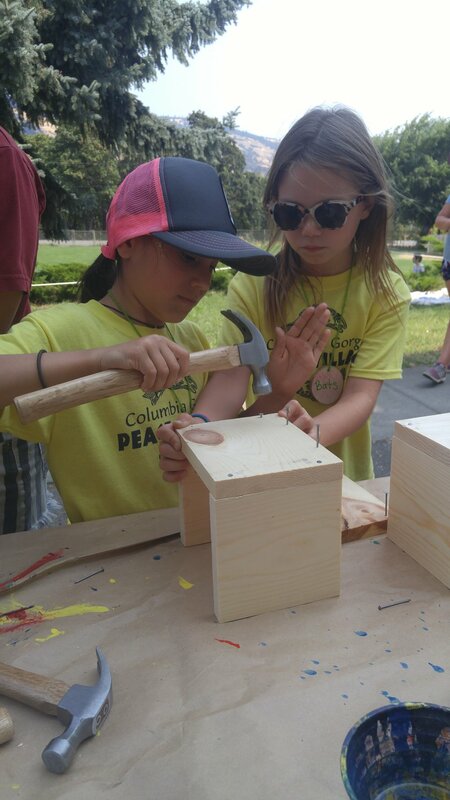 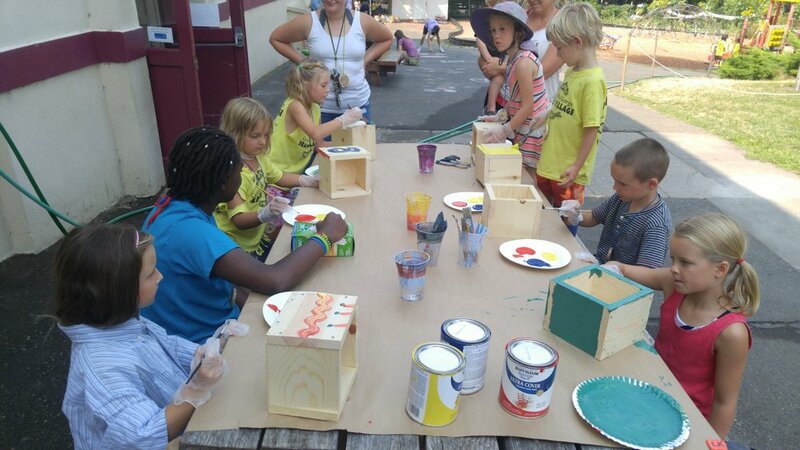 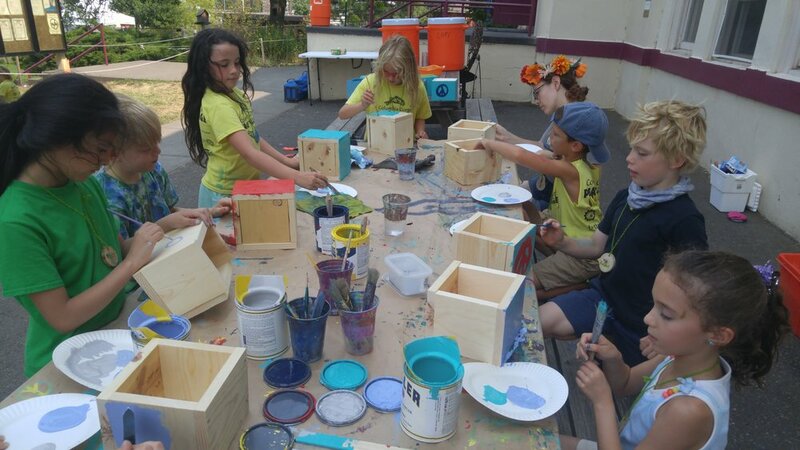 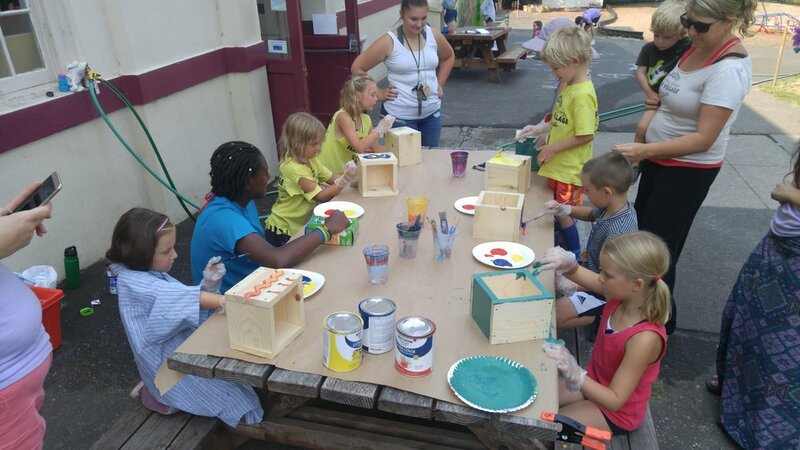 We decided on a simple carpentry project, a 5 sided peace box, that kids could assemble with hammer and nails and then personalize with paint. 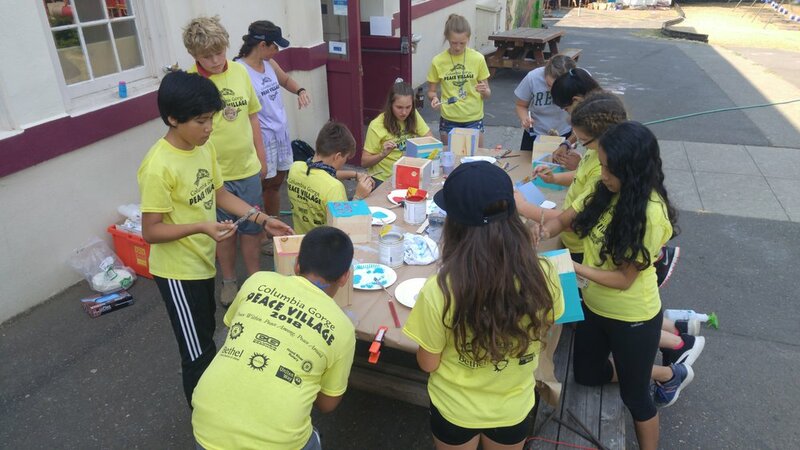 Tum-A-Lum Lumber generously donated all of the materials and we were able to serve 75 kids in 4 days!